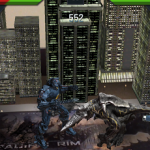 Skiing FredBack to BlogGrand St. 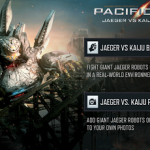 The Pacific Rim: Jaeger vs Kaiju Battle game, powered by Qualcomm’s Vuforia augmented reality technology, allows users to play as the giant Jaeger robots and fight monstrous Kaiju from Warner Bros. Pictures and Legendary Pictures PACIFIC RIM in a real-world environment. 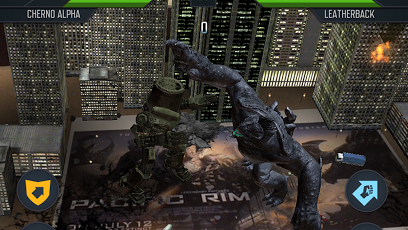 Using vision-based image recognition, users can set up gameplay on any flat surface and see the film’s combatant characters come to life on their tablet or smartphone device. 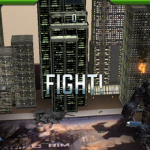 The gameplay features on-screen controls for attacking, blocking and performing special finishing moves. 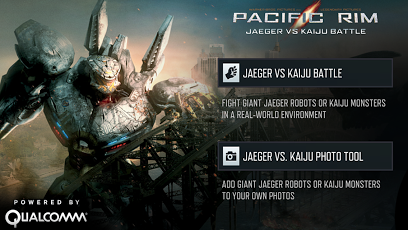 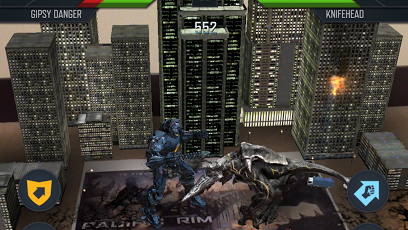 Join the fight!Secondary app functionality allows users to add the Jaeger and Kaiju characters into their own photos. 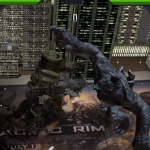 Take a photo from within the app interface or select from your device’s photo library and add one of the giant robots or monsters into the scene. 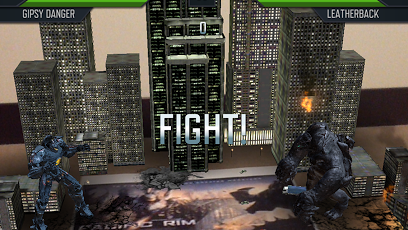 Controls for scaling, positioning, coloring and a variety of character poses allow users to customize the scene, which can then be saved or shared to social networks.